Despite its high natural resources and agricultural potential, the Democratic Republic of Congo has major food insecurity. Many villages in the east of the country have been pushed into deep poverty and torn by the years of war violence. In the cases of unrest, the cattle are often looted first and, moreover, the inhabitants have to flee regularly. Of course, that does not help to create a flourishing agriculture. The specific problems of smallholder farmers are centered on food insecurity, conflicts over land ownership and the difficulty of access to productive resources (seeds, water, credit, etc.). Corruption in the public sector is allowing a massive influx of multinationals, mining companies and investors that pose a great threat to a population that is highly dependent on agriculture, livestock, fishing and forestry. VSF Belgium is working in the North Kivu province. Here, rates of food insecurity are very high, especially among rural households. The latest nutrition surveys in 2012 have revealed a global acute malnutrition rate of around 3.3% and global chronic malnutrition close to 59%. 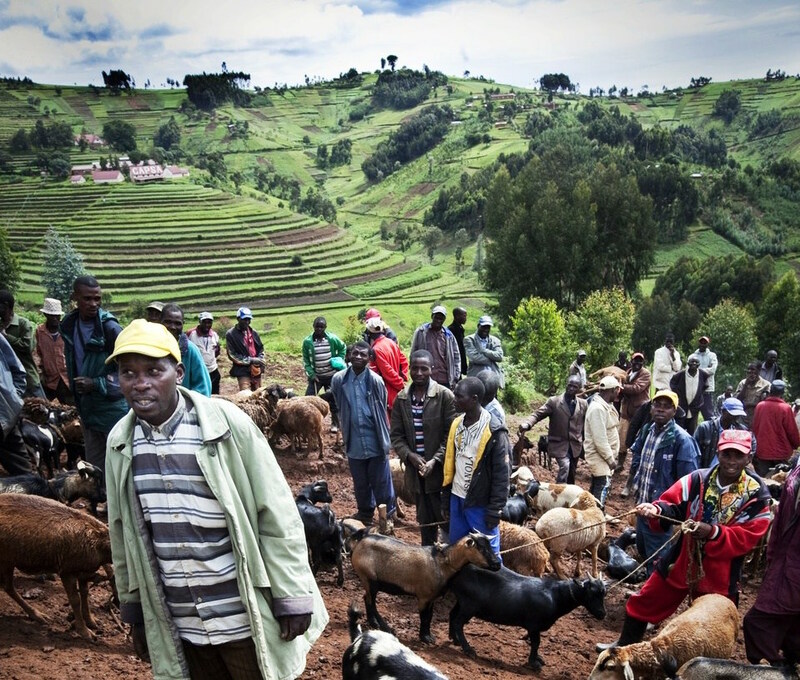 In this region, livestock constitute the main savings of the population, most of whom have no access to financial services. Most often, it is an animal auction that pays for medical bills, children’s school fees, field fees and food diversification. However, the poor functioning of the food system and value chains, the lack of livestock and the low productivity of small family livestock, the high mortality of animals, are all challenges to overcome poverty. Supporting women empowerment through livestock-related activities.